Home Business Success Tips – What Is Stopping You From Succeeding With Your Home Business – Is It You? If you want to experience home business success, then what is stopping you from succeeding with your home business? You are here because you want to succeed, who doesn’t but what’s stopping you? – The 10 home business excuses you may say!!! Try These Positive Affirmations! – Remove The Limiting Beliefs! Say instead… I will commit to studying this home business information and apply what I learn, taking things a step at a time breaking it all down to bite size chunks. This will help you take a step closer towards achieving your goals. Would you tell your boss in a ‘job’, or your teacher in a school, that there is too much information? – No… you would just get on with it, wouldn’t you? Well, what’s different with the running of a home business. Don’t we just need to manage the information and get on with it. Say instead… Wow… this is lots of helpful information and it has been put together by someone who has been there and done it. Eat a piece of the cake at a time and do not try to eat the whole cake all at once. Again… This will help you take a step closer towards achieving your goals. Say instead… I will do whatever it takes because then I will be able to go on as many holidays as I want, or do whatever I want. Say instead… I can do this, I just need to get myself educated and apply myself. The reasons I want to build a home business are strong enough to motivate me to do this and I will do it. Isn’t this a limiting belief… Say instead… Money will come easily to me. I will not focus on the negative aspects of life but work a home business solution to remove the challenges that I have and in doing so reach out to people to help them do the same. Money will not be my focus, but providing value to home business seekers will be my focus. Say instead… well, if I keep telling myself that there are no home business opportunities out there for me, and even if I found one that I liked, it would not work for me.. then I am probably right. 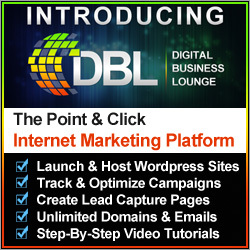 Isn’t it better to say, great home business opportunites are everywhere. I just need to know how to research them and choose which one is right for me. Say instead… well, doesn’t this mean really that I don’t want to get a new education to get that knowledge. Everything I do is about education and I need to commit to the education curve. Isn’t it better to say, with the training, mentorship, tools, resources and community available to me, and what I have learnt so far, I have more than enough knowledge and experience to act now and not later. Don’t stay in education mode all the time! But… Here’s a quick comment for you… I didn’t think that I had any experience when I first got started working online from home? Well, NO… I had no experience at all! Whenever, I have started anything in life, I had no experience at all. It comes down to how far I am prepared to commit to the education curve and just learn how to do it. I have never had a bricks and mortar businesses… but I started a property business back in 2006 and I have now worked online since around 2008, when the world of internet marketing was opened up to me by Andrew Reynolds, when he sent me a self made millionaire magazine through the post. Then in May 2011 I joined the Six Figure Mentors which has been in one word ‘excellent’ for helping me learn more about being a home business success and building a digital and laptop lifestyle. 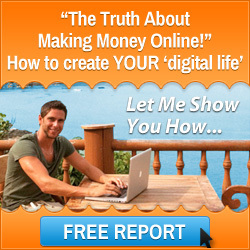 I didn’t know the first thing about an online business… So what did I do?… I did exactly what you’re doing right now… I looked for a mentor… Someone who could show me exactly what I needed to do… to make money from home… and I chose a person who had already successfully made £50 million… from his spare room… along with the Six Figure Mentors Community. You can easily do this part time…So you can work it around your regular job. Then when you have replaced your full time income you can think about packing up the 9 to 5, and living a life full of more time freedom. If you visit this copy this idea video link you will find that it’s affordable to get started. You don’t need to max out your credit cards and risk the shirt on your back to get started with a home business. 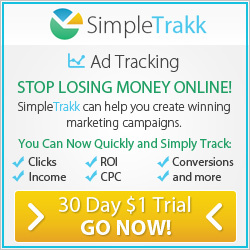 Just $29.95 to get started at this recommended link. Think about this… how much would it cost you to set up a traditonal offline bricks and mortar business? – Thousands, no doubt. 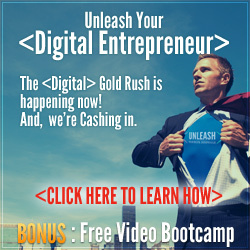 Why are people more willing to do this than invest a few hundred dollars to get started online in a digital marketing centre, or in a home study course that will help them learn how to get money and time freedom, rather than the big overheads that come with a traditional business? – I am not answering this… but leaving it for you to ponder. 10. You’re not ready to change your life. Maybe you dream about changing your life but you are not prepared to put in the time to make it happen. Then, perhaps you want to stay in the safe zone and take no risks in life and that, therefore, a 9 to 5 job may be better for you. This entry was posted in Home Based Business, Success Stories and tagged home business success, home business success tips, success stories. Bookmark the permalink.